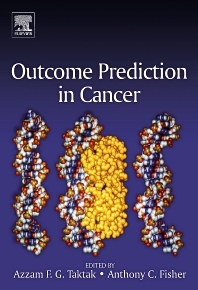 This book is organized into 4 sections, each looking at the question of outcome prediction in cancer from a different angle. The first section describes the clinical problem and some of the predicaments that clinicians face in dealing with cancer. Amongst issues discussed in this section are the TNM staging, accepted methods for survival analysis and competing risks. The second section describes the biological and genetic markers and the rôle of bioinformatics. Understanding of the genetic and environmental basis of cancers will help in identifying high-risk populations and developing effective prevention and early detection strategies. The third section provides technical details of mathematical analysis behind survival prediction backed up by examples from various types of cancers. The fourth section describes a number of machine learning methods which have been applied to decision support in cancer. The final section describes how information is shared within the scientific and medical communities and with the general population using information technology and the World Wide Web. Cancer researchers, oncologists, medical staticians, and bioinformatics researchers. Section 1 – The Clinical Problem. Azzam Taktak is a Principal Clinical Scientist in the Department of Clinical Engineering, Royal Liverpool University Hospital and an Honorary Lecturer at the University of Liverpool. His main research interests are the application of mathematical models and artificial intelligence to medical applications specifically in cancer. Anthony Fisher is a Consultant Clinical Scientist in the Department of Clinical Engineering, Royal Liverpool University Hospital. Previously he was a Senior Lecturer in Bioengineering at the University of Strathclyde. Glasgow. His principal academic interests are biomedical instrumentation and signal processing.